Sail the Galapagos Islands in luxury upon the Galapagos Legend cruise, a magnificent vessel with a capacity for 100 guests, known for the perfect intersection of a spacious yet intimate atmosphere. The largest boat in the Galapagos, the Galapagos Legend cruise offers the facilities and services not often found on smaller vessels. Friends and family will love the atmosphere aboard the Galapagos Legend, and can relax without the strict etiquette found aboard other ships. The kid’s corner offers games and activities to keep young ones entertained, and entertainment consoles within the rooms provide a place to watch films and television. Upon the Galapagos Legend cruise you’ll find countless amenities, with something for every style and taste. 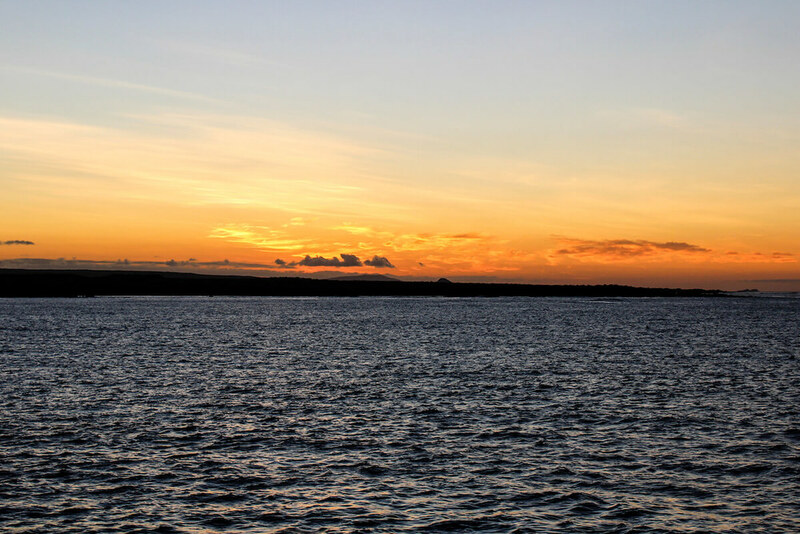 Admire the views of the remarkable flora and fauna of the islands from the largest exterior space of all vessels sailing the Galapagos Islands at 8073 ft² (750 m²), lounge poolside during the day, have drinks at the Fisherman’s bar during sunset, and enjoy a BBQ for dinner as the spectacular scenery fades into night. Sure to take your breath away is the Constellation Deck, the highest viewing point on board at 40 ft (12 m) above sea level, perfect for stargazing and watching the night sky in a way you can only enjoy whilst out at sea. Healthy travelers can nurture wellness aboard this Galapagos cruise by taking advantage of some of her most remarkable facilities: a swimming pool, exercise bikes, jogging track, Jacuzzi, sauna, massage chairs and a state-of-the-art fitness center, including gym, with all the latest, top-of-the-line equipment. Only a ship of her size can accommodate such unique features (with very few other vessels in the archipelago offering them) and the lucky guests aboard the Galapagos Legend will have them at their constant disposal. For those traveling in a professional capacity, groups will appreciate being able to take advantage of the indoor auditorium on the Sea Deck, perfect for hosting conferences. For the majority in the islands for pleasure rather than business, the Galapagos Legend, in addition to her existing open lounge area on the Moon Deck, has a brand new Panorama Lounge Bar on the Sky Deck, featuring panoramic floor-to-ceiling windows for incredible views, and is strategically located for great access to the pool and bar/open-deck area. In between exploring the islands and taking advantage of the ship’s many facilities, you may find yourself retreating to your personal cabins. These elegant rooms come in five different styles, ranging from the comfortable standard cabins to the decadent balcony suites. All cabins offer a private bathroom, air conditioning, telephone, and LCD TV with a multimedia entertainment system. Guests looking for a more economic option aboard this Galapagos cruise will enjoy the Standard Plus rooms, offering porthole sea views upon the Sea Deck and Earth Deck. Those needing more space will find it in the Junior Suites, located on the Earth Deck and offering expansive panoramic windows to ensure you don’t miss any of the sights. These cabins can be provided an extra bed, and a majority of them are also interconnected, perfect for friends and families. Indeed four of the Junior Suites can even be set up for Quadruple occupancy! Another bonus for families are the designated Family Cruises, usually around holiday times, on which more kids and kid-friendly activities will be found. Of course for those seeking the ultimate in Galapagos cruising, make sure to take advantage of the Galapagos Legend cruise’s Balcony Suites and if you are really living it up, her Legend Balcony Suite. These suites, located on the Sky and Moon Decks, offer panoramic windows and private balconies, providing guests their own space to take in their surroundings. Open the mini fridge upon arrival to find chilled champagne awaiting you, perfect for a toast with a view. With enough facilities to keep you occupied onboard for years, let’s not forget what you came to see: the world-famous Galapagos Islands themselves. The Galapagos Legend offers two 4-day (A - North & C - East) and two 5-day cruise itineraries (B - West, D - South), which can be combined to create four possible 8-day itineraries (A+B, C+D, D+A, B+C). If you have the time we definitely recommend the longer itineraries! Spend your day exploring the islands that inspired Darwin, where naturalist guides will lead you through unique landscapes and past rare endemic species. You’ll witness bizarre volcanic formations, idyllic beaches, and crystal clear waters as you hike, walk, swim and snorkel your way through the archipelago. By the end, you will likely be able to count iguanas, blue-footed boobies, seal lions, white-tipped reef sharks, flamingos, penguins and sea turtles amongst your sightings. An especially thoughtful touch, the Galapagos Legend’s service extends all the way to the shore. A free shuttle is included to/from Galapagos flights from select hotels in Quito and Guayaquil.